To discover Tahitian life in a preserved and isolated place. 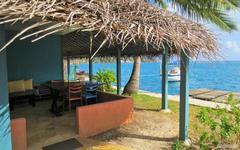 For a stay in the heart of a lush valley, in this pension offering spacious and well-appointed bungalows. 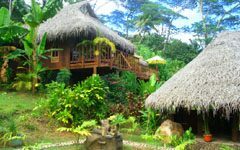 Romantic stays in an incredible bungalow located on an hillside, beautiful view and an amazing host. 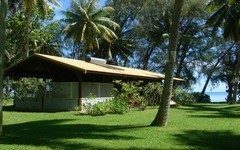 This lagoon boarding house, nestled in a huge coconut grove northeast of Raiatea, is the perfect place for a family break. For a quiet and relaxing stay in couple, between friends or in family.